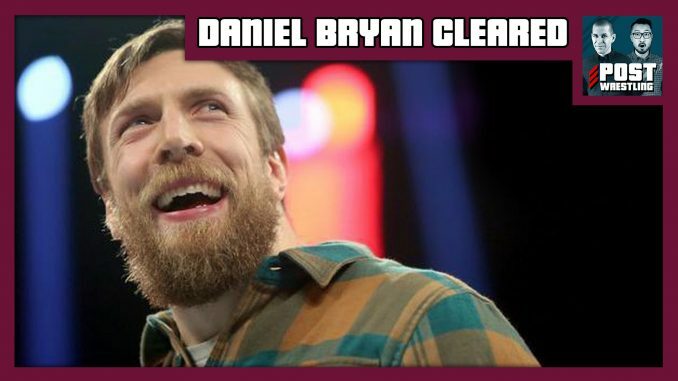 John Pollock and Wai Ting present a special "Breaking News" update after the WWE announced that Daniel Bryan (Bryan Danielson) has been cleared to return to the ring. John Pollock and Wai Ting present a special “Breaking News” update after the WWE announced that Daniel Bryan (Bryan Danielson) has been cleared to return to the ring. The two go over the statement released on Tuesday, the doctors that have cleared Bryan, the reversal of Dr. Joseph Maroon’s decision, and the impact Bryan’s return will have on the WrestleMania card in New Orleans this year.